BARCELONA -- South Korea's top telecom company, KT, agreed with Saudi Telecom Company (STC) to cooperate in improving fixed-line and mobile communication infrastructure in the Middle East country and develop new technologies. 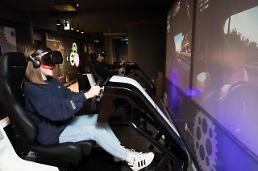 KT said the two companies signed a memorandum of understanding at MWC, a mobile device exhibition in Barcelona, watched by STC Group CEO Nasser Sulaiman Al-Nasser and KT chairman Hwang Chang-gyu. 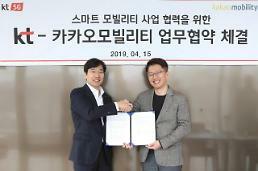 The two companies will cooperate in the fields of wired and wireless communication infrastructure, smart city, smart media, next-generation technologies, KT said, adding they would maximize synergy by combining STC's business influence and expertise with KT's high-speed internet solution and capabilities in 5G virtual reality, artificial intelligence, big data and ICT. Hwang said that through cooperation with STC, KT would create new markets, increase customer convenience and try to lead the Fourth Industrial Revolution and innovation. The partnership will provide an opportunity to introduce KT's verified solutions to Saudi Arabia, Nasser said, vowing to expand cooperation in Saudi Arabia and other areas.